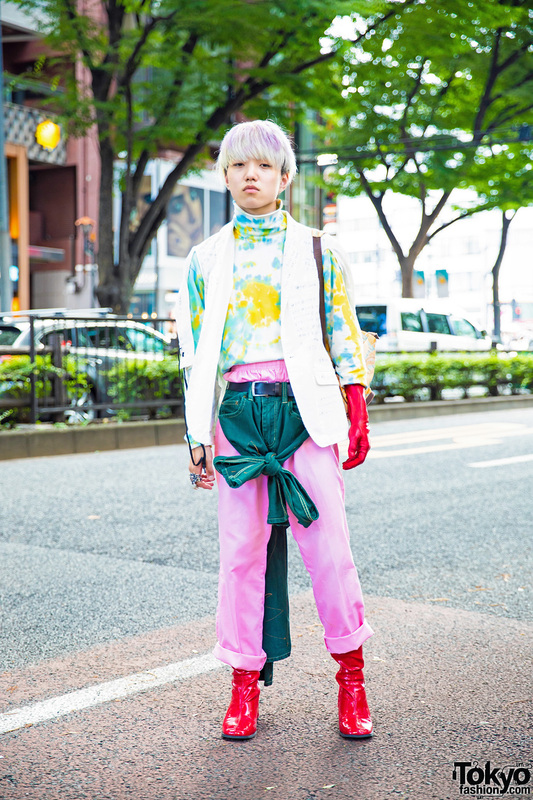 One W Oh shop manager in colorful vintage street fashion while out and about in Harajuku. Japanese student sporting blue fringed hair and pink outfit while out on the Harajuku street. 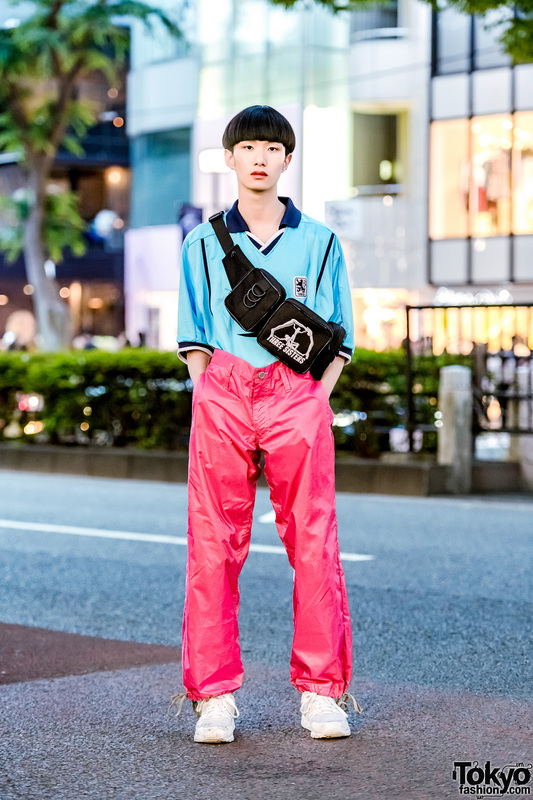 Harajuku student sporting a minimalist sporty style while out and about on the street one fine day. 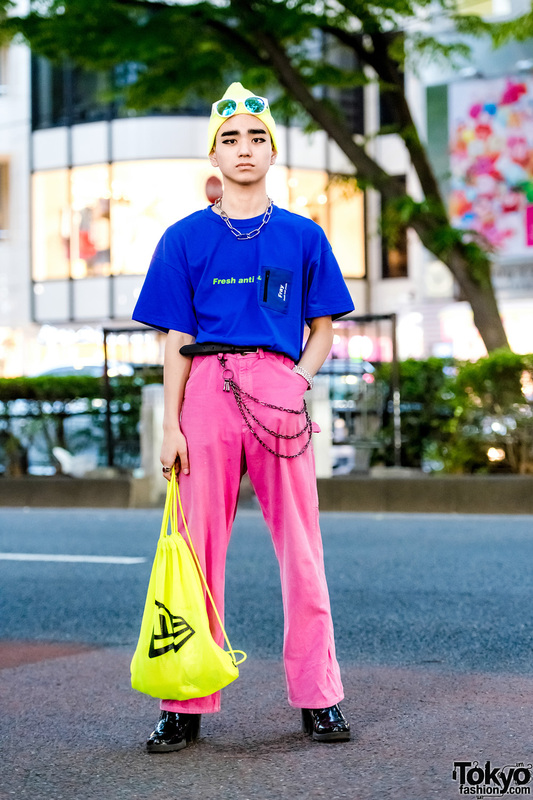 San To Nibun No Ichi staffer showcasing a pink and white streetwear style while out on the Harajuku street.